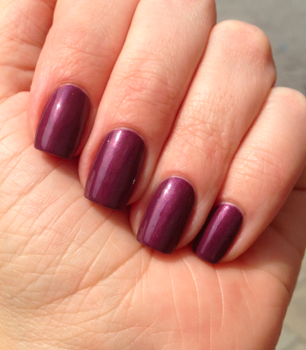 I am an OPI devotee. 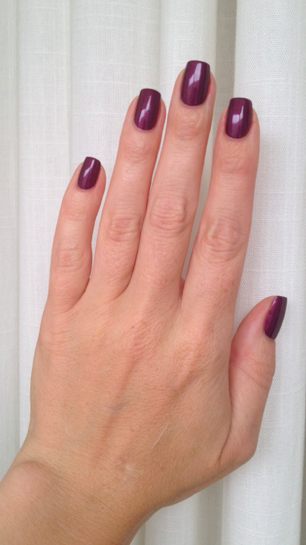 The formula, the brush - they're just plain outstanding if you ask me. So! 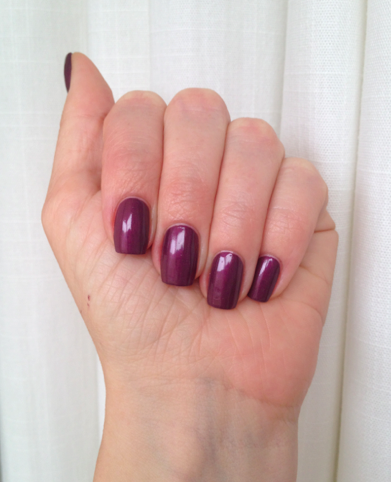 When I saw one of my favorite bloggers, Pamsan of Clawsincolor sporting Catherine the Grape, I was aghast that I didn't even know this shade existed! I immediately made my first ever eBay-purchase and a week later, this smart-looking stunner was mine to parade around (our very medium-sized) town! 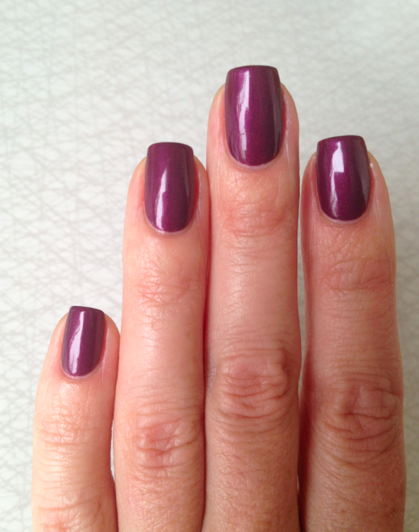 As usual with OPI, it was an easy two coats with almost no cleaning required! 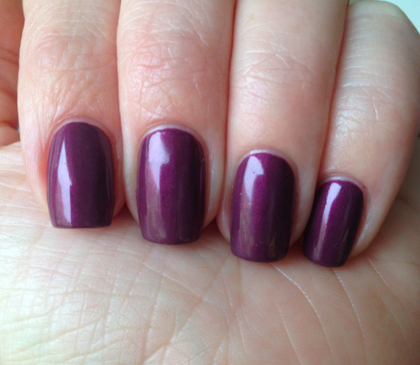 Nice, dusky, warm purple with a rather shy shimmer. 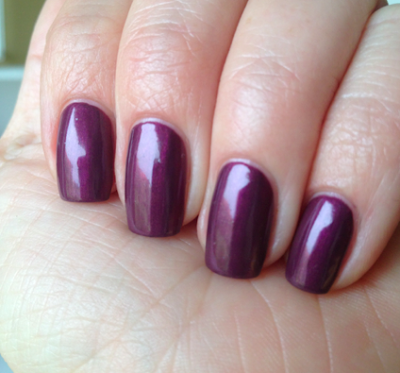 This is from the Russian collection of fall 2007, but it has the ProWide brush, which I love and consider flawless. 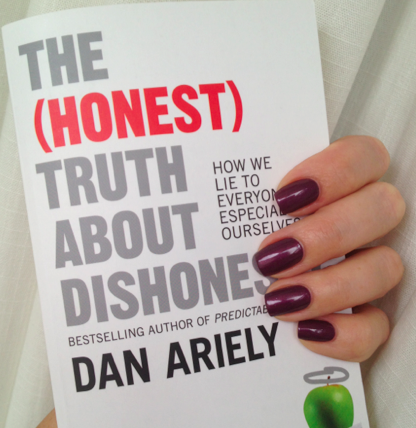 The book I'm reading now is Dan Ariely's The (Honest) Truth About Dishonesty, and it's just as interesting and amusing as his previous Predictably Irrational. Apparently, we are all liars to a certain degree. The trick most of use though, is that we only lie a little, because we still want to be able to think well of ourselves. Given the circumstances though, we may lie more or less and it has nothing to do with being rational.